The Museum of Biodiversity “Il Ciuicì” provides for collectors and lovers of Natural Sciences some of its findings. To proceed with the purchase, please fill in this form, indicating the item code of each article you want to buy. You will receive within 24/48 hours an order confirmation with all the necessary information to make the payment (PayPal or Bank Transfer). “Money Back Guarantee“. You can return items purchased within 14 days from the date of purchase. Refund will take place immediately after receiving the articles. Shipping costs (round trip) are charged to the buyer. We ship to Italy with Traceable Package – Delivery in 3/5 working days – Cost 10 € up to 10 kg, 13 € up to 20 kg. Free shipping over 100 €. For shipments outside Italy, you will receive a quote for the cost of delivery together with the order confirmation request. 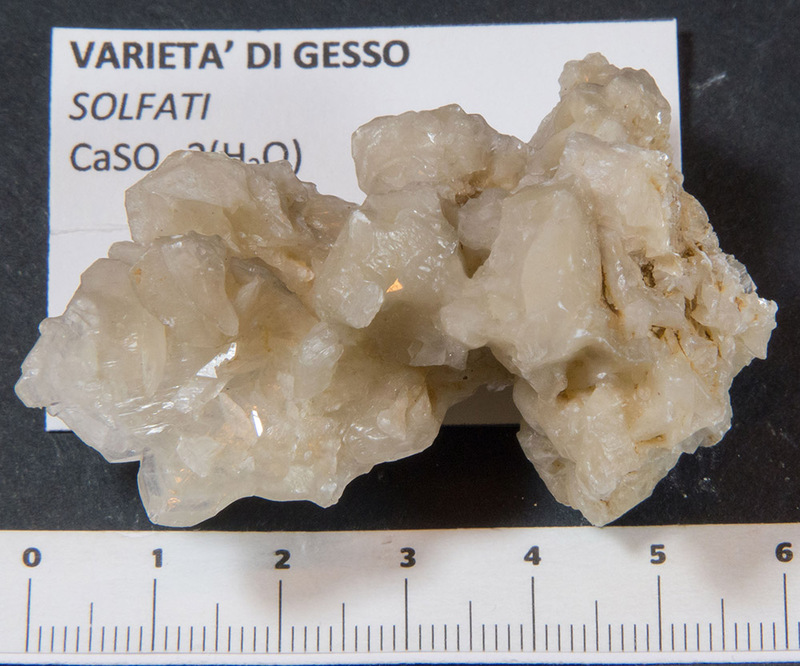 Gypsum is a very soft mineral composed of calcium sulfate dihydrate. It is able to grow in colorless or translucent crystals also of considerable size, object of collecting, of which the most common type is the desert rose. Pyrite is a very common mineral composed of iron disulfide (II) (FeS2) which takes its name from the Greek word pyros (fire) because it produces sparks if struck with a piece of metal. Because of the gold color it was known in the past as the fool’s gold; if heated to the flame it emits a mixture of sulfides with the classic smell of rotten eggs. The Otodus obliquus shark lived between the late Paleocene and the Eocene, between 40 and 60 million years ago. Like all sharks, its skeleton was made of cartilage and this is the reason why only teeth and some fossilized vertebrae have arrived in our days. The Otodus obliquus was a large predator whose size reached about 9-10 m in length and 15 tons in weight. 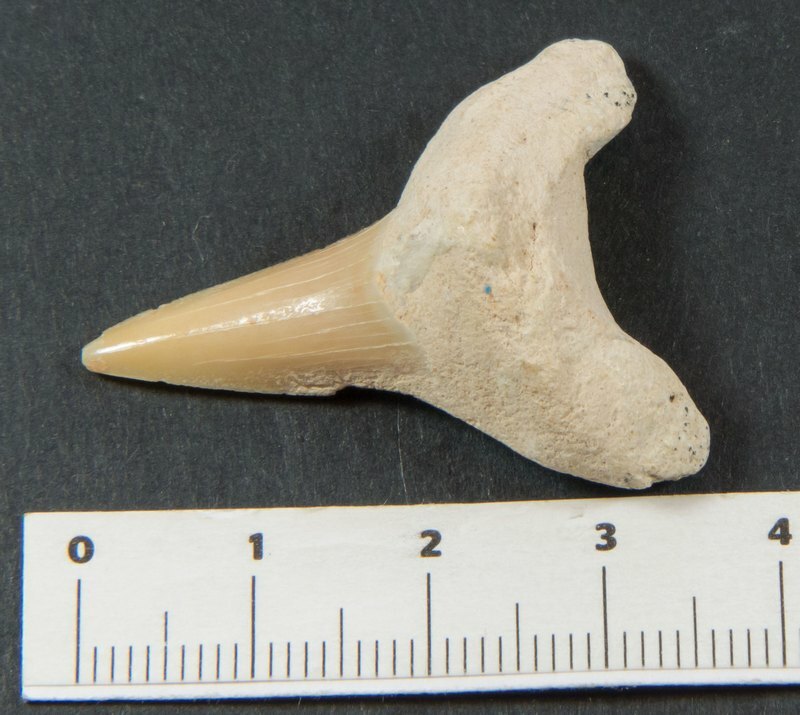 Fossils (teeth and vertebrae) have been found from excavations in Africa, Europe, Asia and North America, a situation that suggests that this shark was widespread in the oceans of 60 million years ago. Given its size and characteristics, it is hypothesized that the Otodus obliquus feed on marine mammals, large bony fishes and other sharks. Currently almost all of the teeth of this huge shark come from the phosphate mines of Morocco. The teeth of the Otodus obliquus have a triangular shape, are wide (up to 8-10 cm) with smooth and sharp edges and there are one or more lateral cusps. Plaster cast obtained from a true fossil; 1: 1 scale; color as the original. Elratia (Gen. Elrathia) is an extinct arthropod belonging to the trilobites. 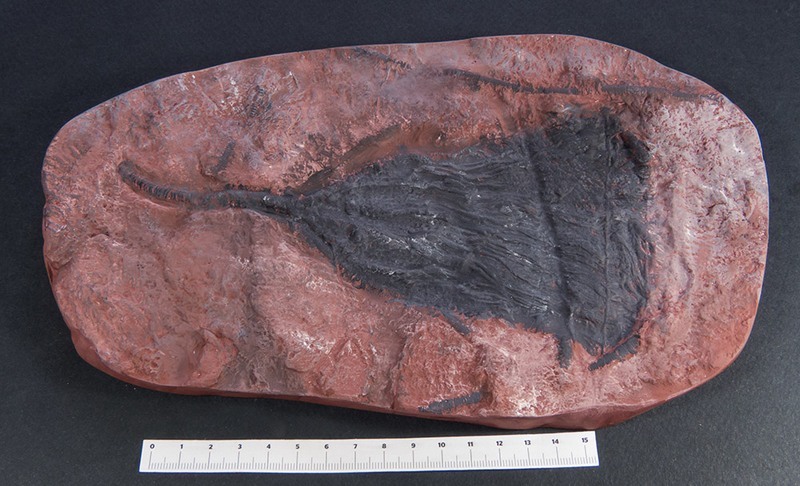 He lived in the middle Cambrian (about 505 million years ago) and his fossilized remains were found exclusively in North America. The cephalic shield of this trilobite was relatively small compared to the thorax; the central part (glabella) was small and shaped like a bud, while the eyes were central and there were two structures on either side of the cephalon (genital spines). The thorax consisted of 13 segments, with a narrow axis and enlarged and slightly pointed lateral parts. The terminal part of the body (pigidium) was short. In total the body did not exceed the average length of two centimeters. Plaster cast obtained from a true fossil; 1: 1 scale. Elratia (Gen. Elrathia) is an extinct arthropod belonging to the trilobites. He lived in the middle Cambrian (about 505 million years ago) and his fossilized remains were found exclusively in North America. 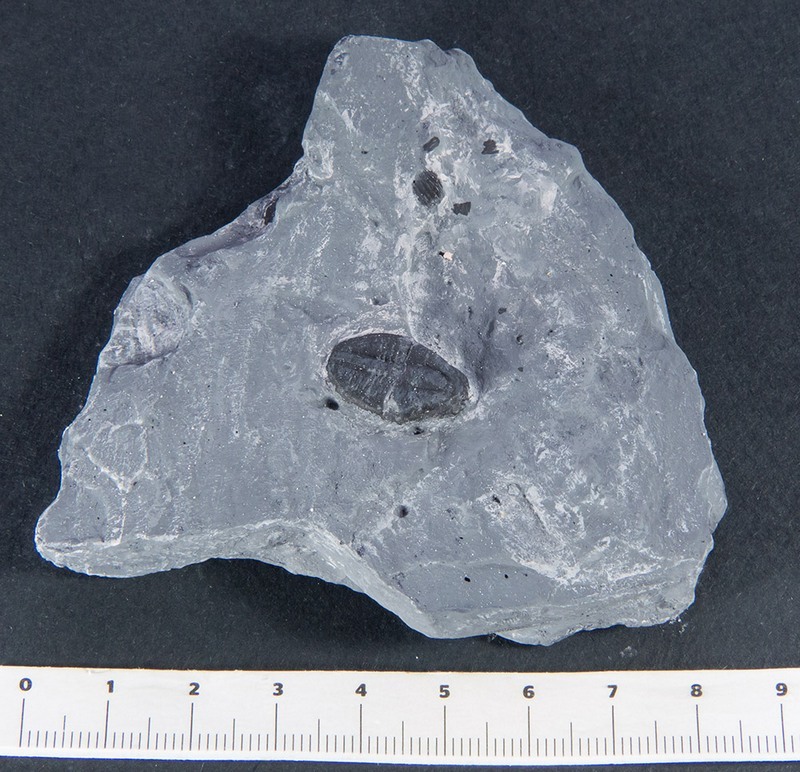 The cephalic shield of this trilobite was relatively small compared to the thorax; the central part (glabella) was small and shaped like a bud, while the eyes were central and there were two structures on either side of the cephalon (genital spines). The thorax consisted of 13 segments, with a narrow axis and enlarged and slightly pointed lateral parts. The terminal part of the body (pigidium) was short. In total the body did not exceed the average length of two centimeters. Plaster cast obtained from a true fossil; 1: 1 scale. Perisphinctes is an extinct cephalopod mollusc belonging to the ammonites. He lived in the Upper Jurassic (172-149 million years ago), and his fossil remains are found on all continents. The aspect of the shell of this ammonite is quite conventional: planispiral (wrapped in a flat spiral), symmetrical, serpenticona (in the shape of a coiled snake, with poor covering of the turns). At each growth stage, the shell has a sub-square section with rounded edges; the navel is very broad but not very deep. The ornamentation is made up of a number of sharp and slightly protruded ribs (arched forward, ie in the direction of the opening). Near the abdomen, the coasts are forking, crossing the ventral region without interruption (no hulls or ventral grooves are present). Plaster cast obtained from a true fossil; 1: 1 scale. The facope (Gen. Phacops) is an extinct arthropod belonging to the trilobites. 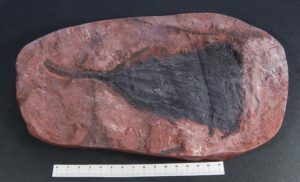 Its fossils are very common in most of the world, and are found in soils from the Silurian to the Devonian (430-360 million years ago). This animal was one of the most typical and widespread trilobites. The body was oval in shape, with a large head (cephalon) and a small posterior part (pygidium). 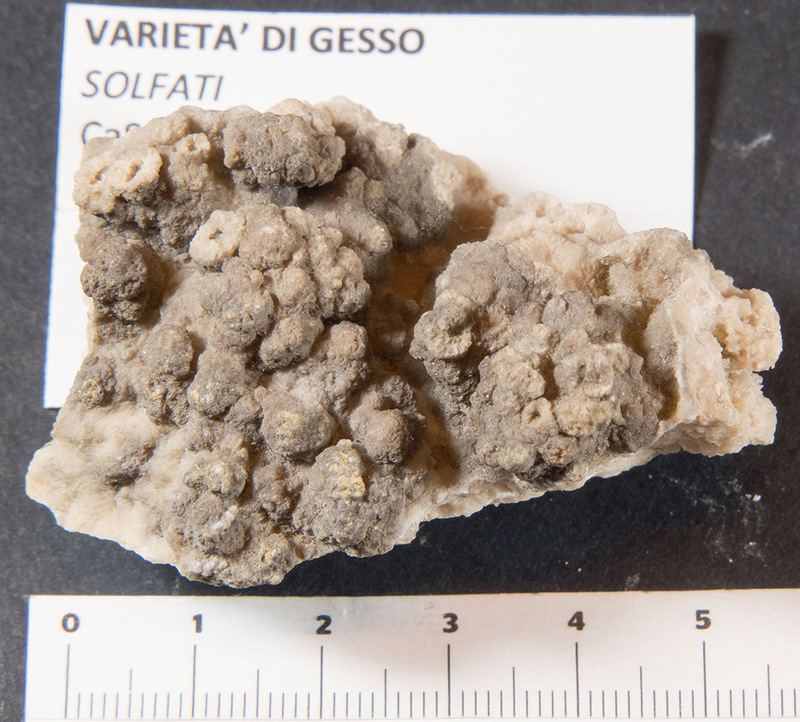 The central region of the head (glabella) was large and posteriorly narrow, adorned with numerous large granules that covered the entire surface. 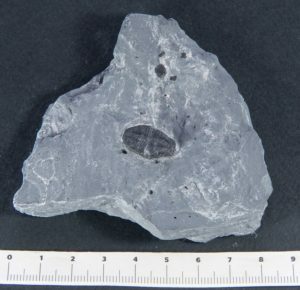 The eyes, often well preserved in fossils, are very large. At the hypostoma (a ventral plate placed near the mouth) two uniramated antennae originated. The characteristic “three lobes” typical of the entire class were of very similar dimensions and well rounded. Plaster cast obtained from a true fossil; 1: 1 scale; color as the original. Crinoids are marine animals that make up the class Crinoidea of the echinoderms (phylum Echinodermata). The name comes from the Greek word krinon, “a lily”, and eidos, “form”. The class includes 648 living species and over 5,000 fossil species. Having appeared in the Ordovician, the crinoids have become widespread throughout the Paleozoic period. During the Paleozoic and the Mesozoic they are among the main organisms producing carbonate, constituting the limestone with crinoids or encrinites. Over 5,000 fossil species have been described. Since the end of the Permian, most of the evolutionary lines of the crinoids (subclasses Cladida, Flexibilia, Camerata and Disparida) have been subjected to mass extinction, with the sole exception of the subclass of the Articulata, to which all living species belong currently known. The Megalodon (Carcharodon megalodon or Carcharocles megalodon Louis Agassiz, 1843) is an extinct species of shark of considerable size, known for its large fossil teeth. The scientific name megalodon derives from the Greek and means precisely “big tooth”. The fossils of C. megalodon are found in sediments from the Miocene to the Pliocene (between 2.3 and 2.6 million years ago). 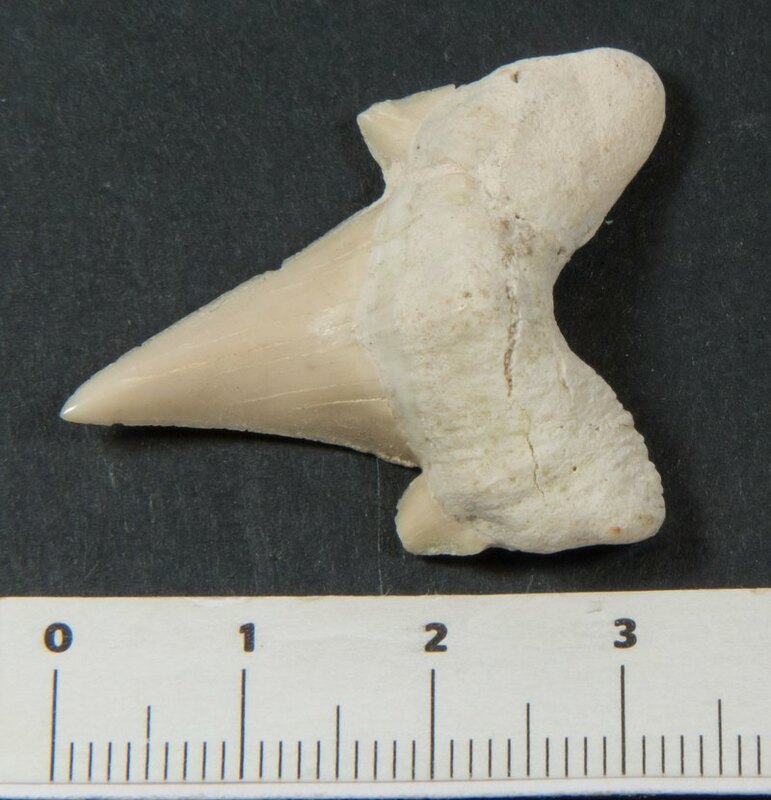 Because of the fragmentary remains, there have been many contradictory estimates of the dimensions for the Megalodon, as they can only be obtained from fossil teeth and vertebrae. Also for this reason, the Great White Shark is at the base of its reconstruction and estimate of the dimensions, since it is considered the best analogue to the Megalodon. The Carcharodon carcharias (Linnaeus, 1758), also called Great White Shark, or sometimes simply White Shark, is the only living representative of the genus Carcharodon, this shark is the largest predator fish on the planet. Protagonist of many movies and documentaries, it is the most known and studied shark species in the world. Usually the average size oscillates between 4 and 6.4 meters, with a weight (for adult specimens) between 680 and 1100 kg. However, his body weight may temporarily increase by hundreds of pounds (even reaching 2 tons), assuming he has just eaten or not. Its maximum length is about 7 meters. Velociraptor (meaning “swift seizer” in Latin) is a genus of dromaeosaurid theropod dinosaur that lived approximately 75 to 71 million years ago during the latter part of the Cretaceous Period. Two species are currently recognized, although others have been assigned in the past. The type species is V. mongoliensis; fossils of this species have been discovered in Mongolia. A second species, V. osmolskae, was named in 2008 for skull material from Inner Mongolia, China. Smaller than other dromaeosaurids like Deinonychus and Achillobator, Velociraptor nevertheless shared many of the same anatomical features. It was a bipedal, feathered carnivore with a long tail and an enlarged sickle-shaped claw on each hindfoot, which is thought to have been used to tackle and disembowel prey. Velociraptor can be distinguished from other dromaeosaurids by its long and low skull, with an upturned snout. 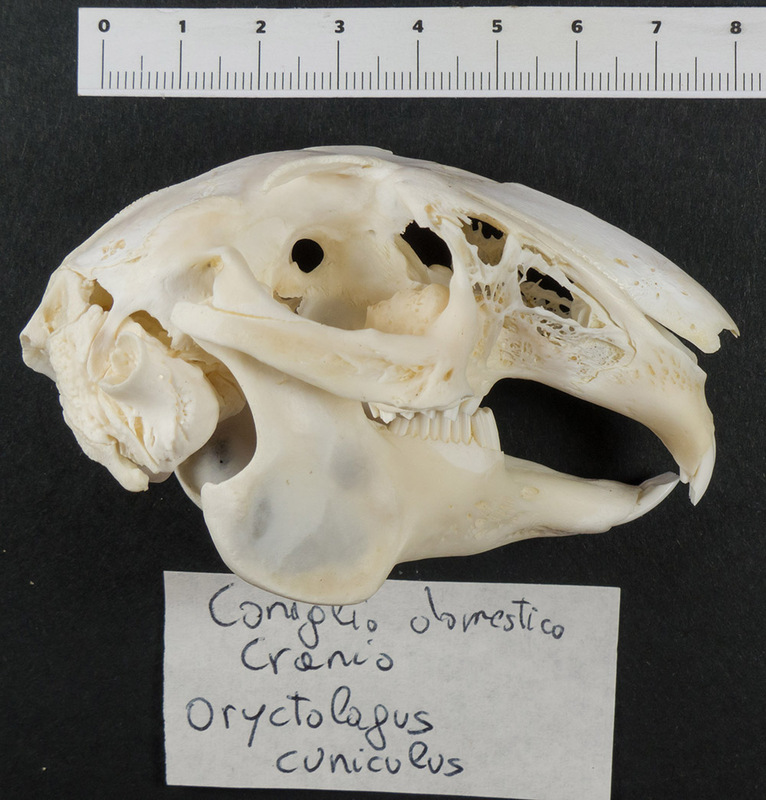 Complete skull osteological preparation of domestic rabbit (Oryctolagus cuniculus) for educational and exhibition use. Museum preparation, cleaned and bleached, removable jaws. The domestic rabbit, selected in over 40 breeds, derives from the European wild rabbit that has been tamed starting from 1,100 BC. to provide food, fur and wool sources as research subjects and as pets. Complete skull osteological preparation of domestic sheep sub-adult (Ovis aries) for educational and exhibition use. Museum preparation, cleaned and bleached, removable jaws. The progenitors of domestic sheep (Ovis aries) were probably the mouflon (Ovis musimon, O. orientalis), the ural (O. vignei) and the argali (O. ammon). The domestication of wild sheep is very old; the productions supplied are milk, meat and wool. 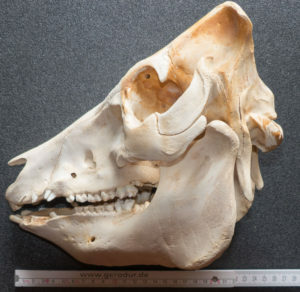 Complete skull osteological preparation of domestic pig sub-adult (Sus scrofa domesticus) for educational and exhibition use. Museum preparation, cleaned and bleached, removable jaws. The term pig comes from the Latin majalem (“castrated pig”), so called because it was often used as a sacrifice to Maia, mother of Mercury. Plaster cast obtained from a true footprint; 1: 1 scale. Prepared for educational and exhibition use. Negative mold in silicone obtained from a true footprint; 1: 1 scale. Prepared for educational and exhibition use. Plaster cast obtained from a true footprint; 1: 1 scale. Prepared for educational and exhibition use. Pair of footprints: front and rear paw. Plaster cast obtained from a true footprint; 1: 1 scale; terracotta colored effects. Prepared for educational and exhibition use.